In March 2018 we came runner up in the West Sussex Primary School of the Year. The judges were particularly impressed with our commitment to working with families, our good communication and our involvement with our local and wider community. We have achieved the National Award for the Best Inclusive School. Well done all children and staff - a great achievement! We achieved our "Healthy Schools Status" by ensuring that children are encouraged to live healthily by doing lots of physical activities, knowing what a healthy balance diet is and talking about what makes a healthy lifestyle. We are very proud of this achievement. The Primary Quality Mark award was developed to provide a framework that would promote, support and celebrate the improvement of literacy and mathematics skills in schools. The award involved the whole school community in their commitment to improve the skills of both teachers and pupils through reviewing and monitoring the children's learning and progress. Following an extensive external assessment, we have been awarded the prestigious ICT Mark. The award recognises the school’s success in developing the strategic use of ICT in both administration and across the curriculum. It recognises our positive approach to ICT and the benefits it is bringing to our children. Parents have proof that their children are attending a school at the forefront of modern technology. At Lyndhurst Infant school we have a team of Eco - Warriors, 2 pupils from each Year 1 and Year 2 class. They regularly meet to take part in fulfilling different projects. 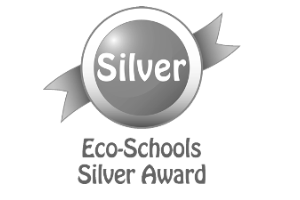 Through this we have achieved the Eco- Silver Award. Modeshift STARS is the national schools awards scheme that has been established to recognise schools that have demonstrated excellence in supporting cycling, walking and other forms of sustainable travel. The scheme encourages schools across the country to join in a major effort to increase levels of sustainable and active travel in order to improve the health and well-being of children and young people. We have managed to achieve the 15 Travel Initiatives to attain the Bronze Award. This is in recognition of our Arts Mark. This includes drama, music and Art! The Rights Respecting Schools Award (RRSA) recognises achievement in putting the United Nations Convention on the Rights of the Child (CRC) at the heart of a school’s planning, policies, practice and ethos. A rights-respecting school not only teaches about children’s rights but also models rights and respect in all its relationships: between teachers / adults and pupils, between adults and between pupils. We have the Gold level award in recognition of the implementation of whole school approaches that support excellence in geography. We are the only school in West Sussex to have achieved this award and are very proud of it! We have won this award in recognition of the great work we do supporting children with Autistic Spectrum disorder. We are proud to have received the School games award. Lyndhurst Infant School celebrate another Sporting success with the award of the Platinum Quality Start award for KS1 PE and School sport. The validating assessor noted the level of inter school participation in events such as Boccia, New Age Kurling, multi skills, Quad kids, football and Gymnastics. This is the highest level of award the school can achieve and Lyndhurst will continue to embed and develop their sporting provision.